Retaining heat within buildings is not only an occupant’s priority, it is an environmental imperative. Our windows range ensures that a maximum level of heat is retained, a benefit that few of our competitors can offer. Western offer as standard to all new build, replacement and trade customers at no additional cost ‘A’ Rated windows – well below the 1.8W/m2K routinely specified for all new build homes. 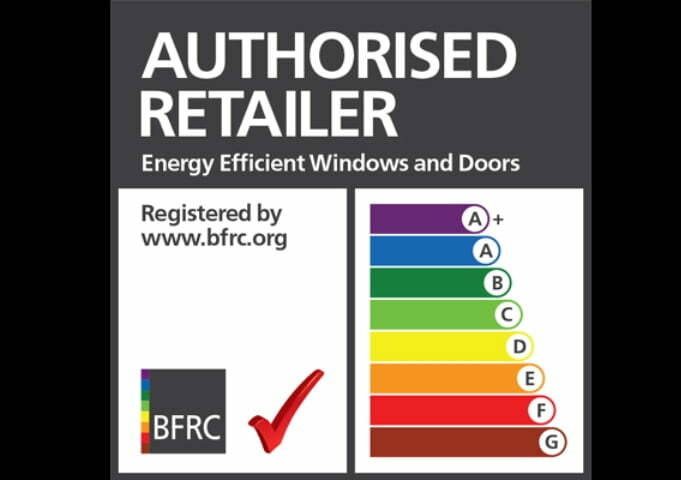 All our windows types have been officially certified by BFRC, the UK’s national system for rating energy efficient windows . So what exactly are Energy Efficient Windows? Energy efficient windows help to contain and conserve heat within your home keeping out wind and rain and yet allowing natural “free” energy – the warmth of the sun – to heat your home. By switching to Energy Efficient Windows, the BFRC estimate that you could save energy and reduce your household bills by as much as £461 per year (in an electrically heated house) and reduce your carbon emissions too. To work out savings for your home visit http://www.bfrc.org/ . Western Windows also offer to upgrade to UK and Ireland’s first low carbon window system. The low carbon window brings together new thermal and production technologies to deliver a super-insulating window for high performance applications. The window, with a U value of 0.8W/m2K, is proven to meet Level 6 of The Code Sustainable Homes and therefore help to make zero carbon housing a reality today, in advance of the 2016 requirement. The company has establish and maintain a documented Quality System as a means of ensuring that all the PVC and Aluminium windows and doors are manufactured, conform to ISO9001 & BS EN 14351. Our range of quality products are customised to meet your exact requirements. From size and colour, down to style and finish of ironmongery, Westerns’ quality windows are designed and manufactured to meet the highest specifications. Our windows and doors have also been designed to offer the highest levels of security for your home. We offer you windows and doors that have multi-point locking systems and even lockable handles. Our systems offers both high secure internal and external beading. A rated windows will make a significant contribution the heat retention of a building and in turn significantly reduce the heating costs helping the end user save money. Western offer a window with a U value of 0.8W/m2K, proven to meet Level 6 of The Code Sustainable Homes and therefore help to make zero carbon housing a reality today, in advance of the 2016 requirement.